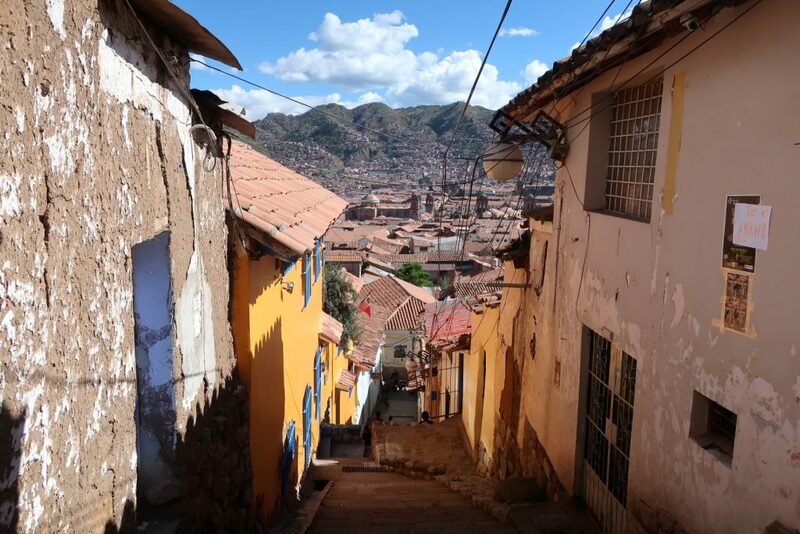 before we take you with us to Uruguay, here a little post about the beautiful town of Cusco. 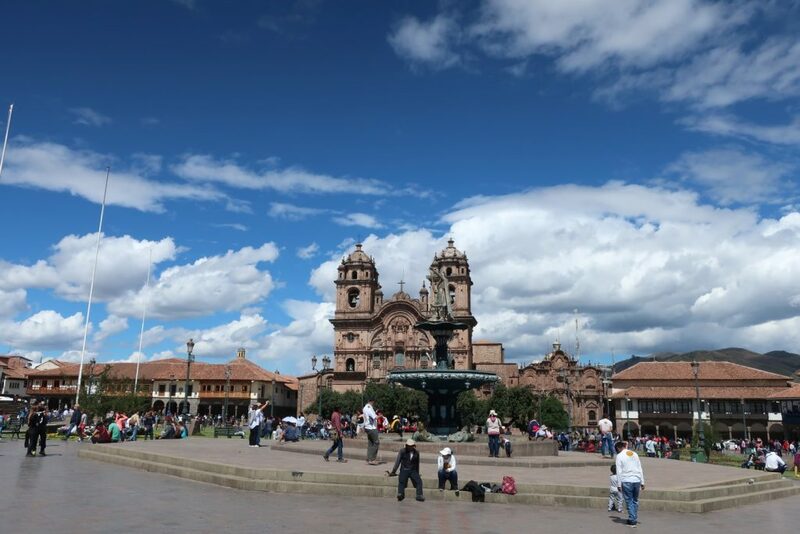 In South America many towns lack a certain charm, but Cusco has a lot of it. We stayed there for a couple of day, before and after the planningstress of Machu Picchu. 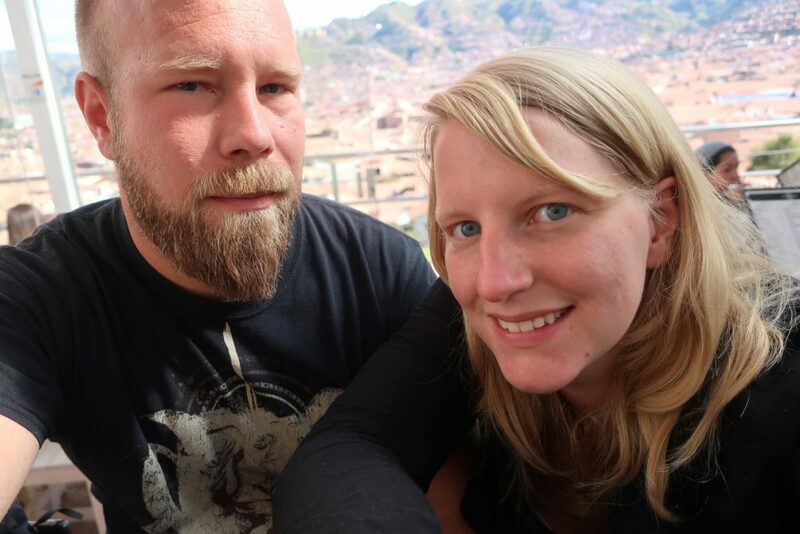 Especially Hostel The Grasshopper was great, we met many nice people there. 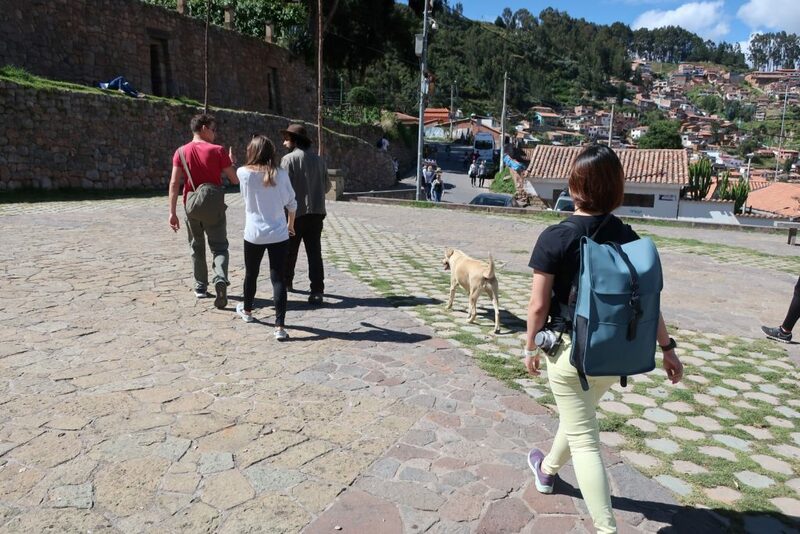 A good way to learn about a city, which we found in many towns, are free walking tours. Don’t get me wrong, if you go there without money, you will feel bad at the end, because free is not always free. Of course the guides have to earn their living, which is why they rely on donations/tips. If you like the tour you give a little more, if you don’t like it, a little less. A nice system, I think. 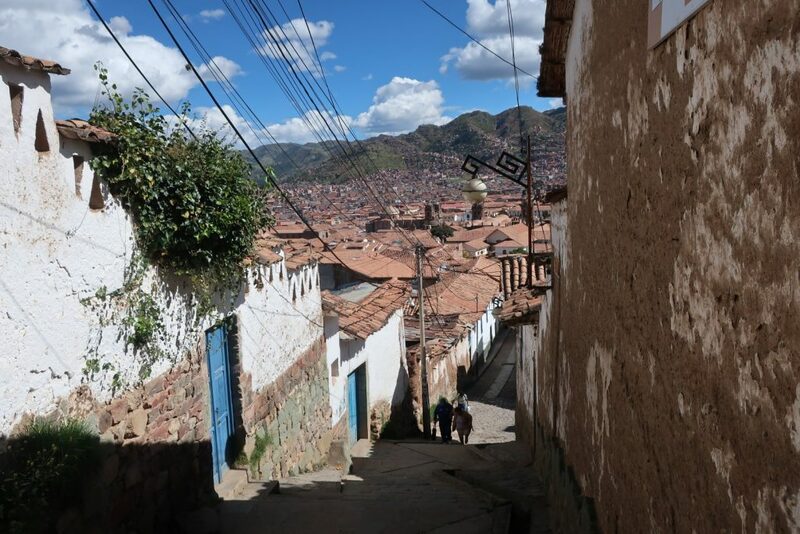 We did one of those free walking tours in Cusco and where positively surprised, because it was really good. 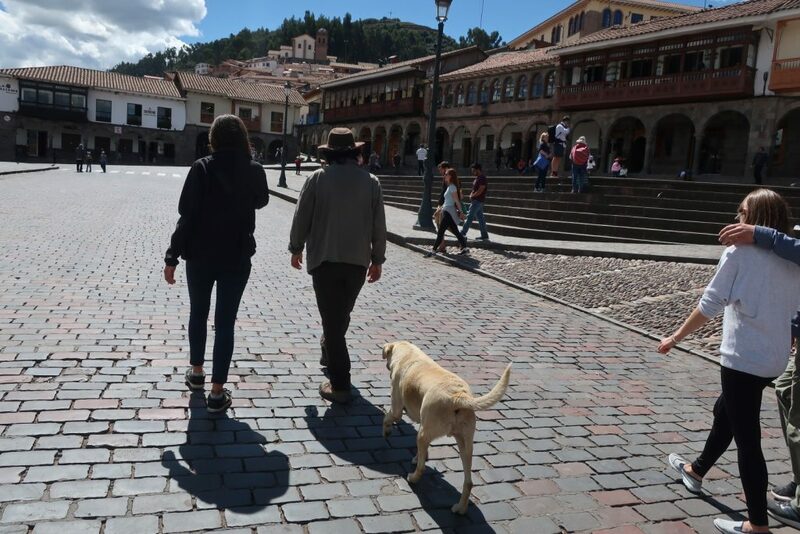 We also had someone with us who did not tip at all, although he walked with us the whole tour! Cheeky guy! 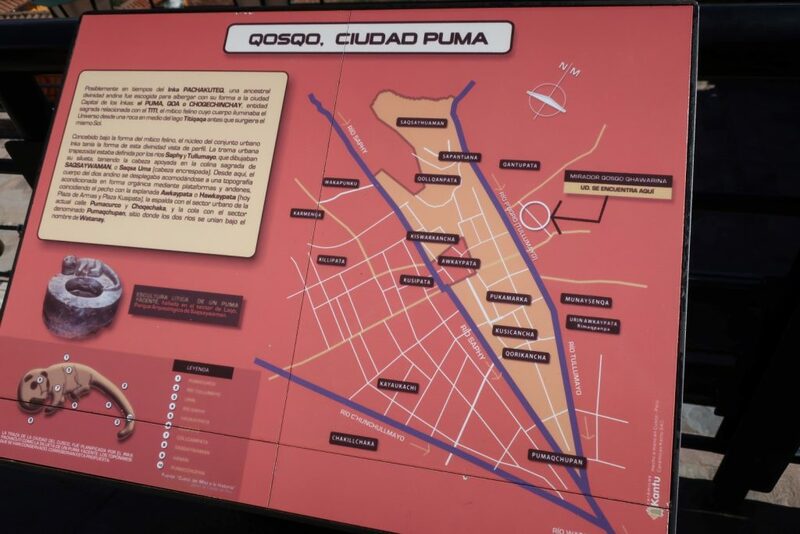 Starting point was Plaza San Francisco, where we learned a little bit about the culture and history Perus. 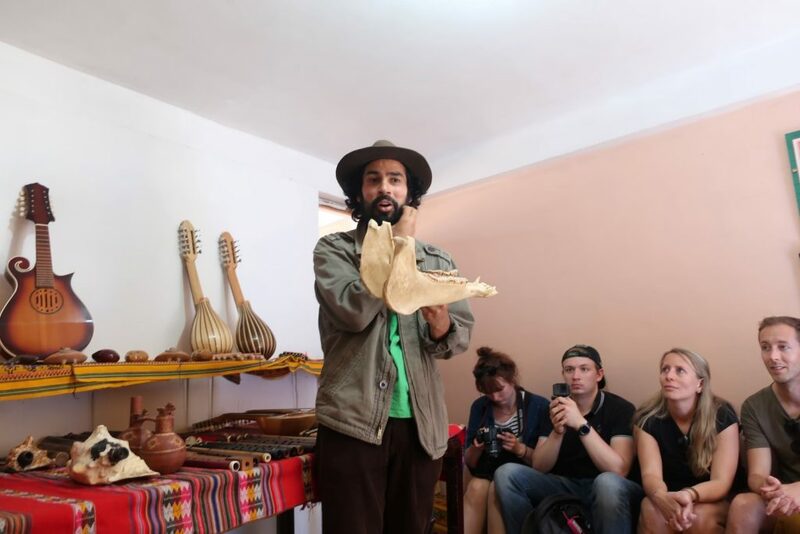 I believed it to be very interesting, that the catholic religion there has many Inka rituals included and there are even pictures in churches with holy people chewing coca leaves and eating guinea pig. Crazy! Then we had some alpaca to try (which we already did, but who can’t say no to free alpaca?). 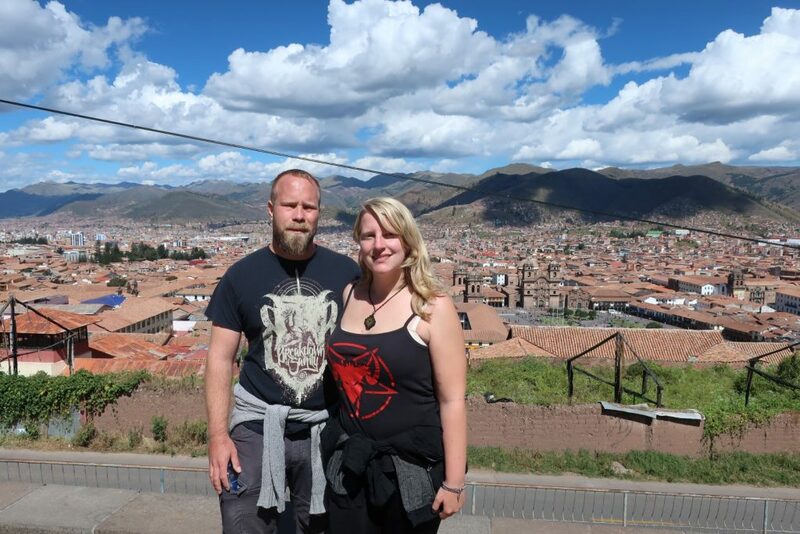 The next stop was a viewpoint over Cusco, where you could almost see the whole city. 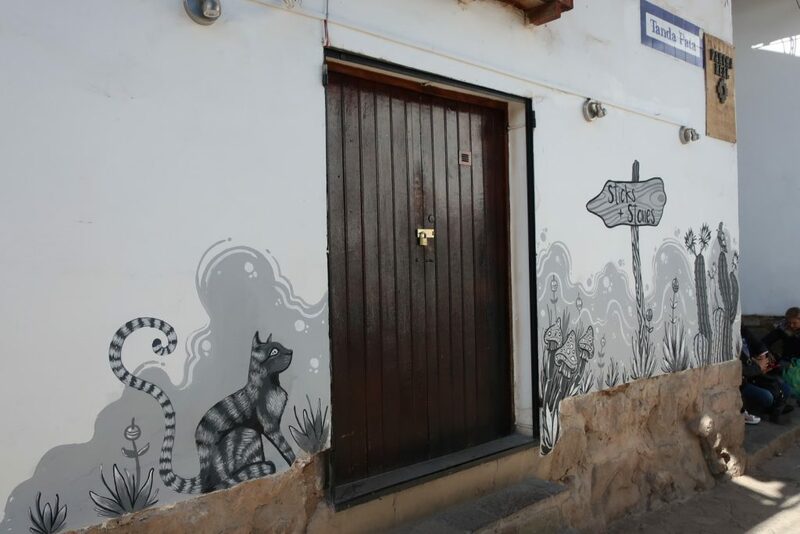 In the artsy part of town there where many small alleys, it was just nice to walk there. 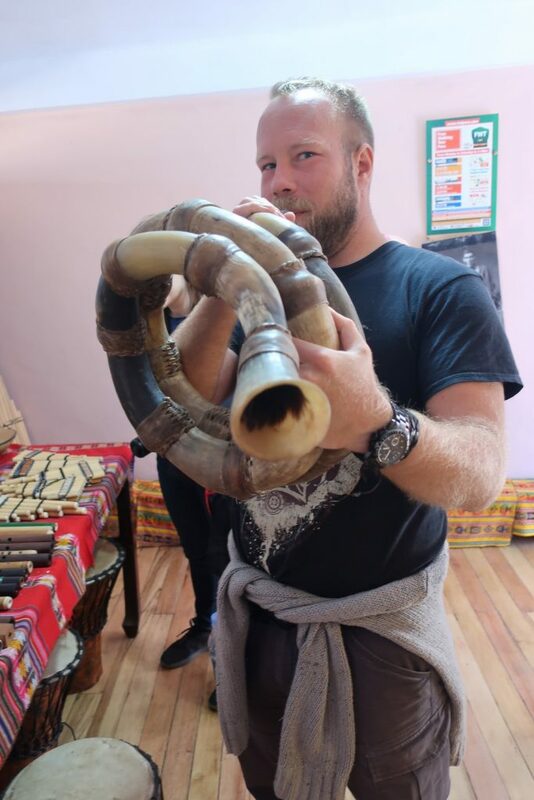 One small excursion to and instrument-shop, where there were crazy instruments to see. 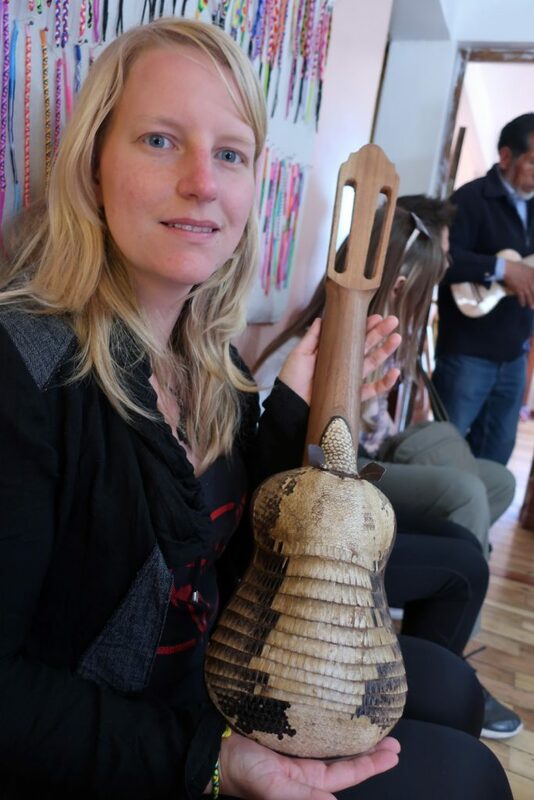 In the early days, you had to use what you had to make instruments. May it be an armadillo armor, a skull or a horn. 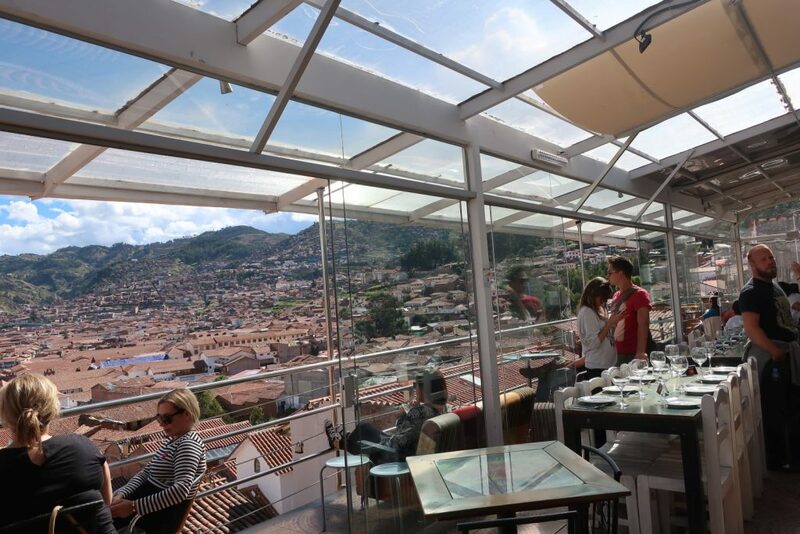 In the end there was a demonstration on how to mix Pisco Sour, in a really pretty restaurant with a great view. Of course we had a taste of the Pisco Sour afterwards. So that is enough of Peru, next up: Uruguay!